Are you free? Those three words at this time of year are so wonderful, but when you take a look at your calendar, tell me, do you feel a hint of anxiety? I know I do, I will not lie. The holiday season is so short this year, and I’m sure your calendar is jam packed…there are work obligations, and school performances, and mini-dance recitals, and soccer tournaments, and gatherings with friends, and gatherings with family, and holiday shopping, and holiday traditions, and visits to Santa, and…well, just 17 days to fit it all in! But that’s the fun of it, isn’t it? The hustle and bustle, the merry and cheer of it all. The reason to get together with the people who matter. And toast to another wonderful year full of memories. “Living a fine life is an art form.” I daresay these words ring true during the holidays, especially. 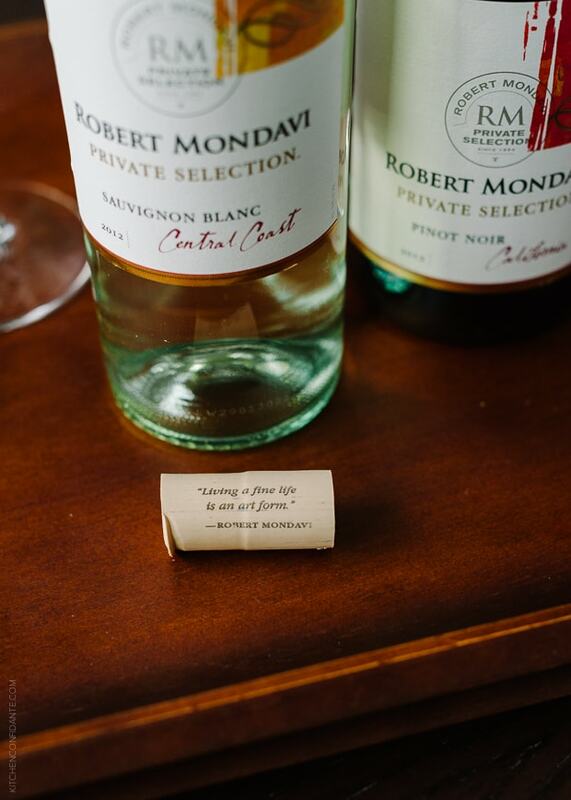 When I saw this quote as I inspected the cork from a bottle of Robert Mondavi Private Selection Sauvignon Blanc, I nodded appreciatively. There is a balance in life, as there is in wine, to be achieved. 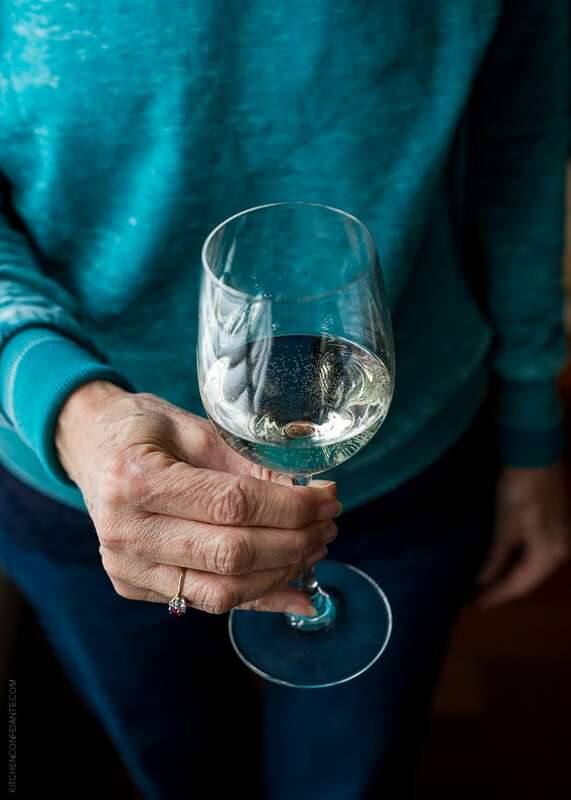 And when it comes to holiday entertaining, we need to remember the finer points in order to enjoy it all without getting stressed. 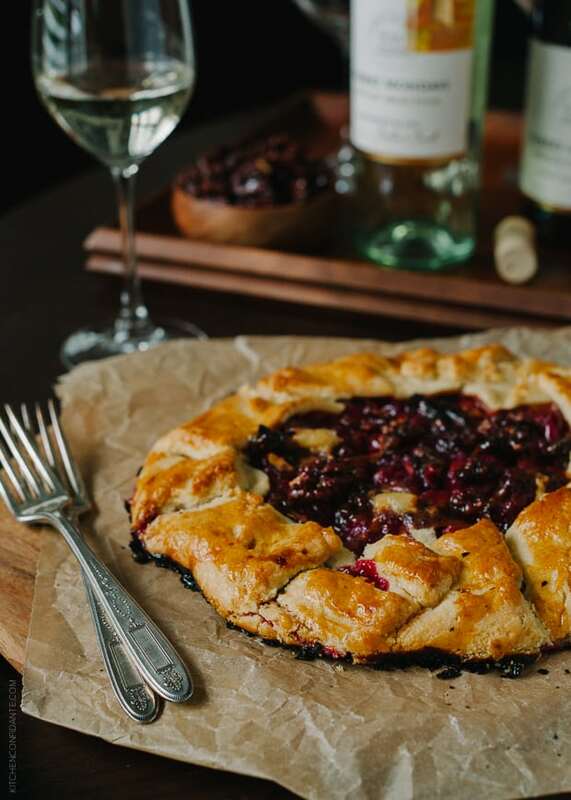 This Cranberry Wine Galette was created with holiday entertaining in mind and made to pair with a Robert Mondavi Private Selection wine varietal I received to try, taste, and pair. 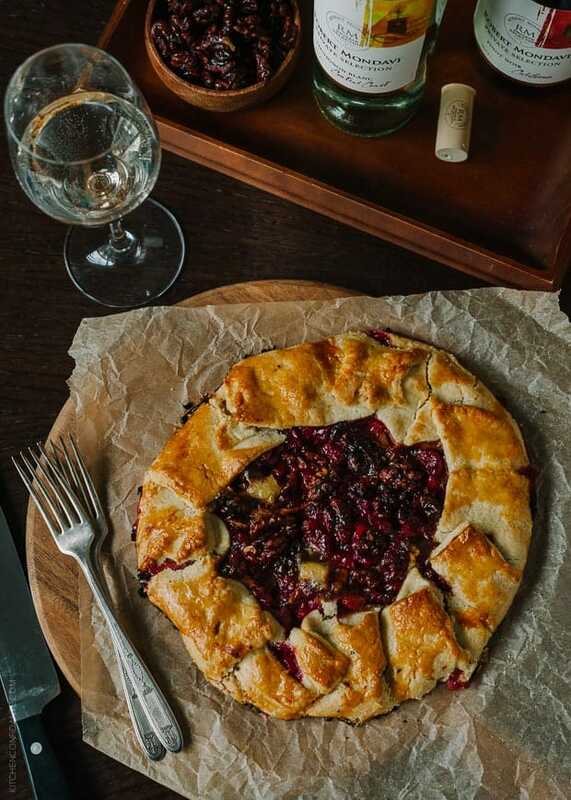 I started by creating a Cranberry Wine Sauce that would do double duty, on the holiday table, as well as in this party-ready galette. 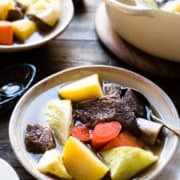 Being able to cross two things off my prep list is always a winner when it comes to entertaining during the holidays. 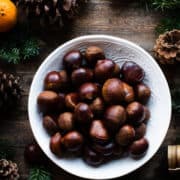 With that in mind, I thought I would share some holiday entertaining do’s and don’ts. 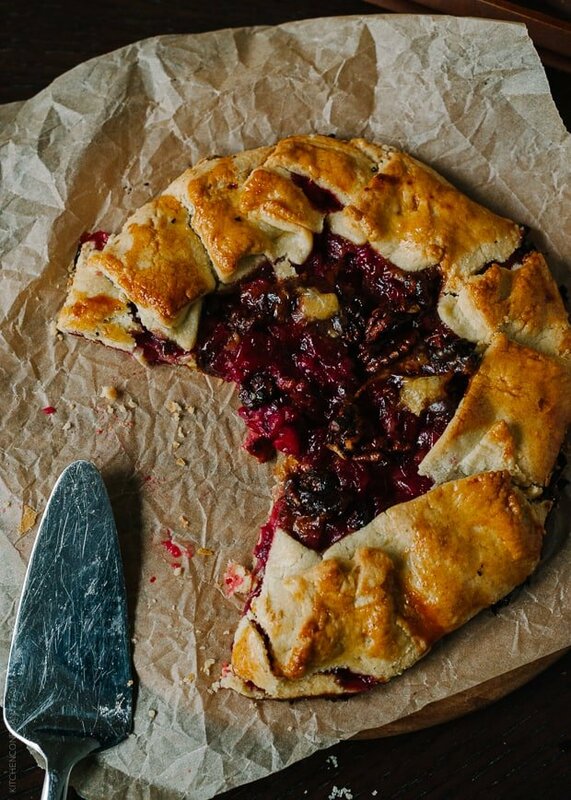 Making this galette is a sure start, but how about a few more? …feel like you have to do it all. 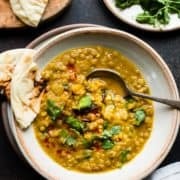 It’s okay to be ok in the kitchen when your guests arrive, bring them in with you! Better yet, put them to work, give them a task! There seems to be a lot of pressure to have everything ready before the first guest arrives, and honestly, I love when I can be helpful at someone else’s house, don’t you? So don’t be shy…let someone else take care of setting the table or opening a bottle of wine. …schedule your party too close to the big holiday. With busy calendars, I am always appreciative when holiday gatherings are on the earlier side of December. …get caught empty-handed. Keep some small gifts ready and wrapped just in case you receive a gift and feel the need (or perhaps forgot!) to give one in return. …let your guests drink and drive. Please don’t. …take advantage of convenience! 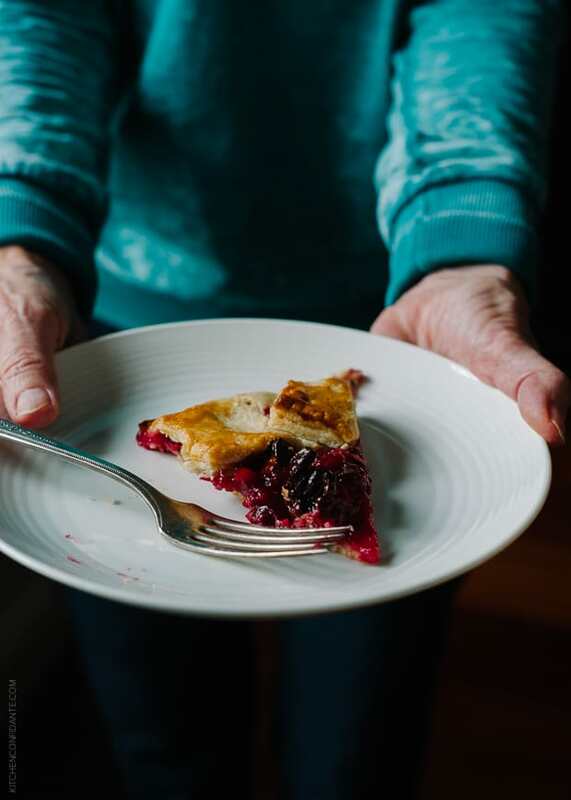 Sure you can whip up an easy dough in seconds, but now is the time where using store bought pie crust will do just fine. Pick your battles and cook accordingly. 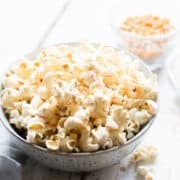 …let your guests bring a bite to share. Potluck always takes the load off. …begin prepping as far in advance as possible. That includes cleaning the house, too! …consider timing your gathering for just after dinner (or lunch!). 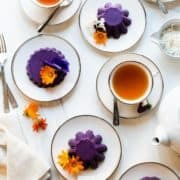 This takes the pressure off cooking a full meal – if everyone arrives well fed, all you need to do is serve a bevy of small bites and dessert! 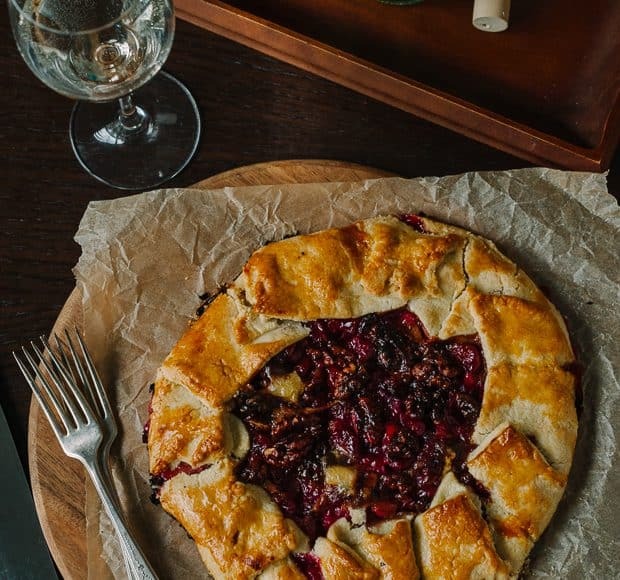 Whether or not you are hosting a gathering at your home this holiday, I hope you do give yourself a moment to try this Cranberry Wine Galette. 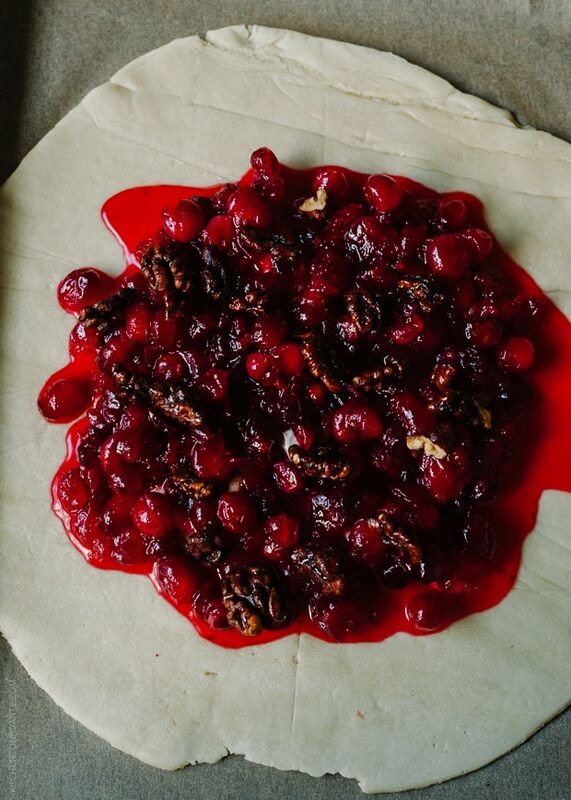 The wine infused in the cranberries lent its floral notes to the glossy fruit, which mingled with earthy walnuts and dollops of brie, all enveloped in a rustic dough. 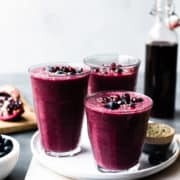 Served with a glass of wine, it is wonderful as an appetizer or even as the end to a special meal. Disclosure: Compensation was provided by Robert Mondavi Private Selection via Glam Media. 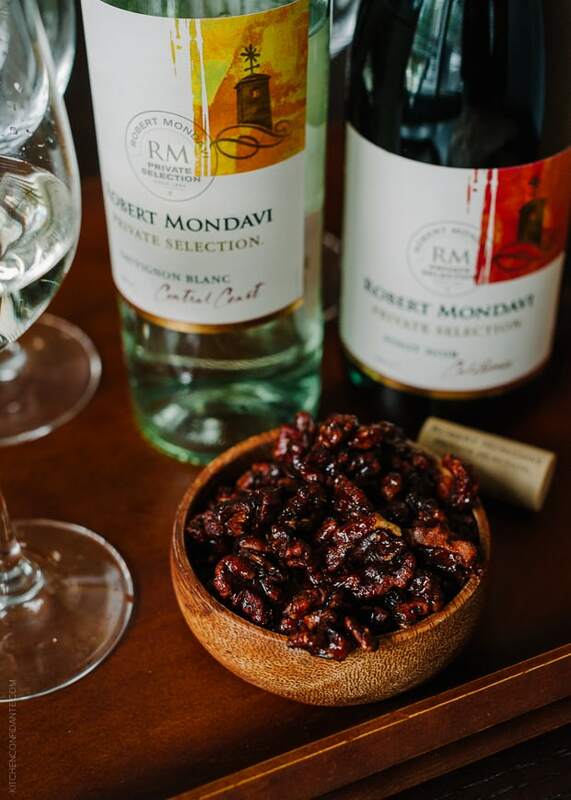 The opinions expressed herein are those of the author and are not indicative of the opinions or positions of Robert Mondavi Private Selection. 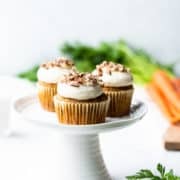 Sponsored posts such as these help support the work behind the scenes on Kitchen Confidante. Thank you so much for your visits and making my blog part of your day. I can't decide if I like this more as an appetizer or as the end to a special meal. 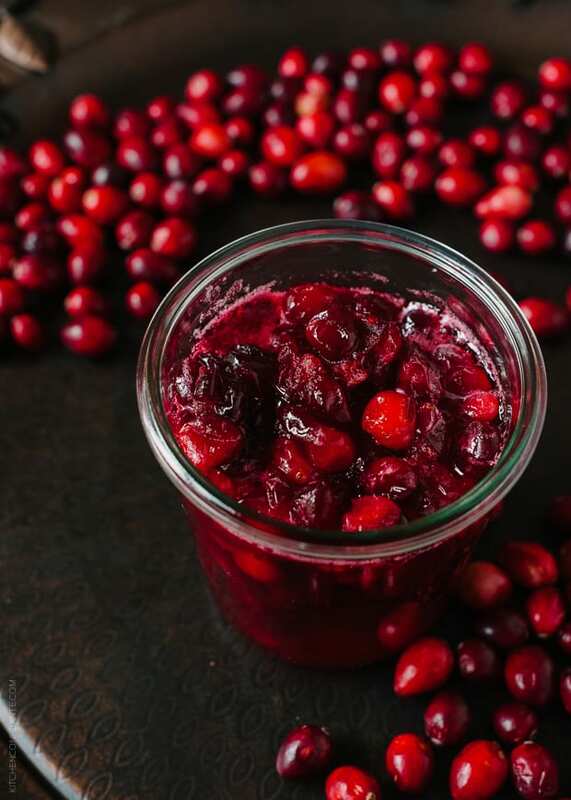 One thing is certain, it is worth making while fresh cranberries are plentiful. 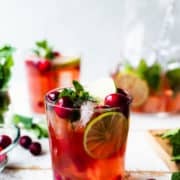 Make the Cranberry Wine Sauce by combining the cranberries, wine and sugar in a small saucepan and placing over medium-high heat. Bring it to a boil, stir, then lower heat to a simmer, and let it cook for about 5-10 minutes, or until the cranberries have all popped. Transfer to a glass jar and cool completely. This can be done a few days in advance. Preheat the oven to 400 degrees. If using a pizza stone, place it in the lower third of the oven. In a large bowl, stir together the flour, sugar and salt. Using a pastry cutter or two forks, cut in the butter until the mixture resembles course crumbs. 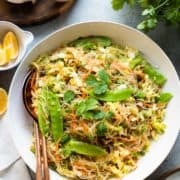 If you wish, this can also be done in a food processor. Slowly drizzle in the ice water, about tablespoon at a time and toss until the dough just comes together. It will still be crumbly (take care not to make the dough too wet). Place in the center of a sheet of plastic wrap, using the wrap to bring it into the shape of a ball, wrapping as you go. Press it into a disk form and chill in the refrigerator for at least 30 minutes. 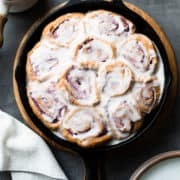 Place the dough between two sheets of parchment paper and roll out into a disk about 12 inches wide and 1/8 inch thick. It does not have to be perfect. 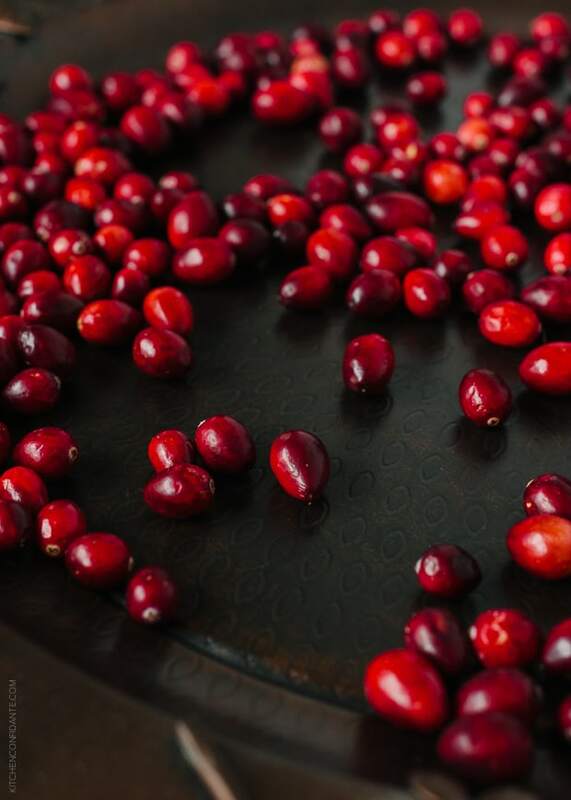 Using a slotted spoon, arrange the cranberries and some sauce in the center of the disk. 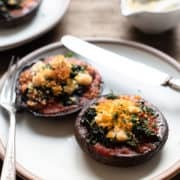 Sprinkle with walnuts and dollops of brie. Gently bring up the edges of the dough, folding and crimping a little along the way towards the center of the galette. Lightly brush the exposed dough with heavy cream or half and half. Transfer the galette on the parchment to the pizza stone in the oven or on a baking sheet. Bake for about 25-30 minutes, or until the crust is golden brown. 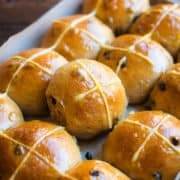 Remove from the oven when it is fully baked, and transfer to a cooling rack. 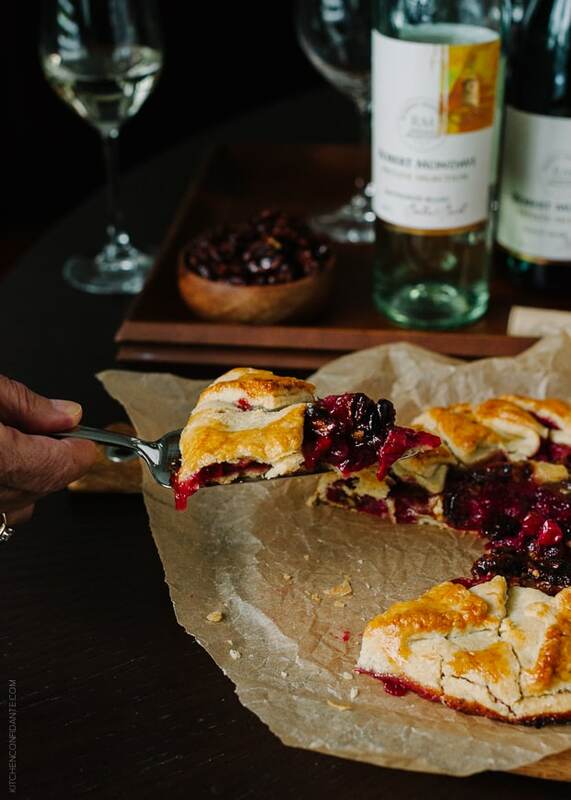 When the filling has had some time to rest, slice the galette and enjoy, ideally with a glass of wine. Dough based on Food52's How to Make any Galette (or Crostata) in 7 Steps. You are killing me! 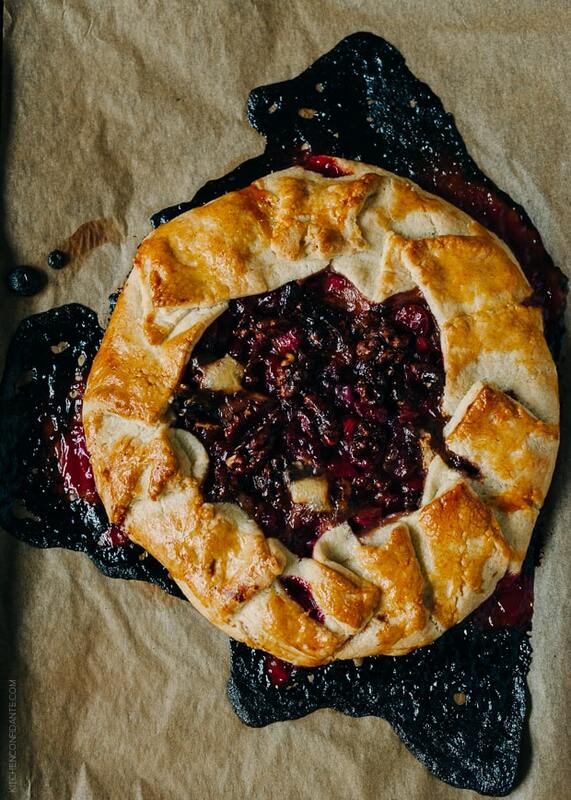 These photos are insanely gorgeous and this galette is perfection! So sophisticated and just plain lovely. these galettes look so good. I am hosting a holiday party this weekend and it was nice to hear that its ok to put guest to help. I have planned and prepped most things (yes to convenience anything possible) but I like things to be set and ready when people arrive. Lets see how it goes. This is so gorgeous, Liren – perfect for holiday entertaining! Gorgeous photos! 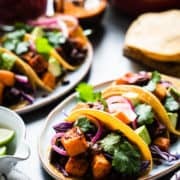 I love your tip about letting others bring food – this time of year is about sharing and I love a loaded holiday potluck! And it’s so much less stressful when your not worried about making everything.